STUDIO LJUNG & LJUNG is a newly founded design duo with lots of energy and lots of experience. 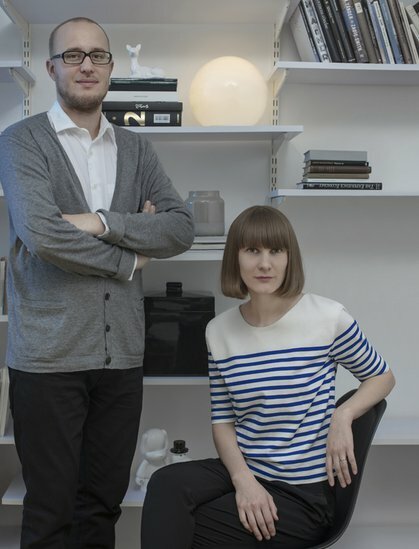 The studio was founded in 2012 by architect Martin Hedenström Ljung and designer Greta Ljung. We have a long experience of collaborating with artists, designers and working in large offices. From this we have learnt a lot. What to go for and what to avoid, but foremost it has given us the chance to start our own studio. We still like to work together with others, but we love our new studio. Art, design and architecture are complex matters. There are no simple solutions and methods. We like to twist and turn the assignment into something with meaning. This can be an interesting story, a new material, a new function, a possibility for a family to grow and hopefully in all cases a start of a new friendship. We believe thatdesign is a way to bring people together and improve life. Yeah, also saving the planet. We see each new project as a way of broaden our minds. We are positive and naïve but with responsibility and structure to handle and carry out both small scale and large projects for private as well as commercial clients. Our core is creativity. The outcome can be a book, packaging, a product, a piece of furniture, a workshop, a new home or an exhibition. We like to find solution behind the obvious and we like to seek out new routes and methods. For us the project does not end with delivering the drawings or images, this is only the start of something that we will keep our eyes and minds on for a very long time. We love form and design. We love colours and textures. We love pens and paper. We love computers and screwdrivers. We would love to see you as our new client and friend.